CIT vs. Oswal Spinning & Weaving Mills Ltd.
2. The assessee is a limited company and engaged in manufacture of yarn and vanaspati ghee and sale thereof. For the year in question, the assessee filed return declaring a loss of Rs. 25,50,380 which was subsequently revised on March 31, 1986, declaring loss of Rs. 23,41,950. During the course of assessment proceedings, the Assessing Officer found that certain assets pertaining to the textile unit of the assessee were transferred to the shareholders at written down value of Rs. 3,01,700 in exchange of 3017 shares held by the shareholders which were surrendered to the company. The value of 3017 shares at Rs. 522 per share was Rs. 15,74,874. This transaction was shown by one of the shareholders to fall under the capital gains tax. 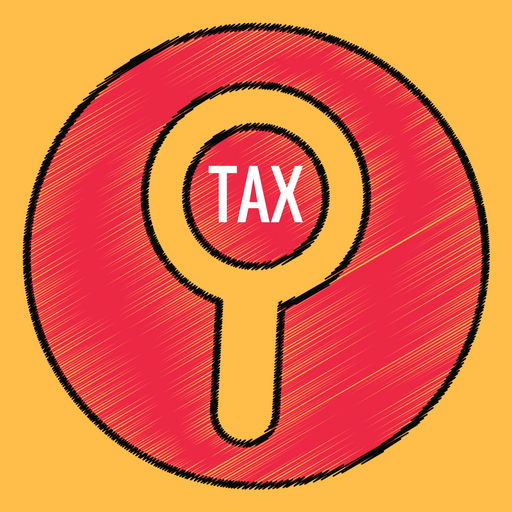 However, the Assessing Officer sought explanation from the assessee as to why the transaction be not charged under capital gain tax in its case as well, whereupon it was pointed out that as the assets were transferred by the company to its shareholders and, therefore, no liability to capital gain tax would arise. The Assessing Officer invoked section 41(2) of the Income-tax Act, 1961 (for short, “the Act”), in respect of the transferred assets in lieu of excess value of the shares over the written down value of the assets and made an addition of Rs. 12,73,174. On appeal, it was contended by the assessee that the reduction of share capital of the company did not amount to sale or transfer and valuation of the shares was against the principles laid down by the hon’ble Supreme Court in CWT v. Mahadeo Jalan  86 ITR 621 and, thus, no profit may be involved if value of shares was taken to be equal to the value of assets transferred. The Commissioner of Income-tax (Appeals) set aside the said addition by holding that no transfer of assets was involved and it was only reduction of the share capital. Reliance was placed on the judgment of the hon’ble Supreme Court in CIT v. R. M. Amin  106 ITR 368 to hold that reduction in the subscribed capital of the company did not amount to sale or transfer. In that process, no profit was made to attract section 41(2) of the Act. However, no finding on the issue regarding valuation of shares was recorded, as it was held to be not taxable. The Tribunal upheld the view of the Commissioner of Income-tax (Appeals). 3. We have heard learned counsel for the parties and perused the record. 4. Learned counsel for the Revenue submitted that from the facts it is clear that the assessee had availed of the benefit of depreciation under section 32 in respect of the land, building and machinery which were transferred for consideration higher than the written down value and, therefore, the assessee had made profit which was covered under section 41(2) of the Act. Reliance has been placed on the judgment of the hon’ble Supreme Court in Kartikeya V. Sarabhai v. CIT  228 ITR 163/94 Taxman 164, distinguishing the earlier judgment in R. M. Amin’s case (supra), holding that payment of lesser value for shares of more value involves profit. Reliance has also been placed on the judgment of the Allahabad High Court in Chandra Katha Industries v. CIT  138 ITR 168/10 Taxman 252 (All), to canvass that the expression “sold” in section 41(2) of the Act includes an exchange and, therefore, the excess over the written down value of the asset would be taxed under the said provision. 5. Learned counsel for the assessee on the other hand supported the view taken by the Commissioner of Income-tax (Appeals) and the Tribunal, to the effect that transfer of assets at written down value for higher value of shares should be treated to be reduction in the value of the share capital, which could not be equated to transfer and since no transfer was involved therein, so as to attract section 41(2) of the Act. (a) Whether, in the facts and circumstances of the case, the transfer of assets at written down value in exchange of shares would constitute ‘transfer’ within the meaning of section 2(47) of the Act ? (b) If answer to the first question is in the affirmative, whether the allotment/exchange of shares for higher consideration than the written down value of the assets would attract the provisions of section 41(2) of the Act ? 9. According to the aforesaid provision, this clause introduces an artificial extended meaning to the expression “transfer”. The said term includes transaction of “sale” and “exchange”, which even in ordinary parlance, would be transfers, but it also takes within its ambit “relinquishment” or “extinguishment of rights”, which may otherwise be not included in the said term. “A company under section 100(1)(c) of the Companies Act has a right to reduce the share capital and one of the modes, which can be adopted, is to reduce the face value of the preference shares. This is precisely what has been done in the instant case. Instead of there being a 100 per cent. extinction of the right which was there in the Anarkali’s case  224 ITR 422 (SC), here the right as a preference shareholder of the appellant stands reduced from Rs. 500 to Rs. 50 per share. A sum of Rs. 450 per share has been paid by the company to the appellant on account of the extinguishment of his right to the aforesaid extent. Therefore, with the reduction in the face value of the share from Rs. 500 per share to Rs. 50 per share, the value of the vote of the appellant in the event of there being a poll would stand considerably reduced. Such reduction of the right in the capital asset would clearly amount to a transfer within the meaning of that expression in section 2(47) of the Act. 11. In view of the above, the answer to the first question that assets given at the written down value in exchange of shares would amount to ‘transfer’ within the meaning of section 2(47) of the Act. Provided further that where an asset representing expenditure of a capital nature on scientific research within the meaning of clause (c) of sub-section (2B) of section 35, read with clause (4) of section 43 owned by the assessee which was or has been used for the purposes of business after it ceased to be used for the purpose of scientific research related to the business is sold, discarded, demolished or destroyed, the provisions of this sub-section shall apply as if for the words ‘actual cost’, at the first place where they occur, the words, ‘actual cost as increased by twenty-five per cent. thereof’ had been substituted. 13. The aforesaid provision applies wherever the sale proceeds of the capital asset of an assessee exceeds the written down value. The amount that is chargeable to tax under this section is so much of the excess as does not exceed the difference between the actual cost and the written down value. This is taxed as income arising from business or profession of the assessee in the previous year in which the asset is sold. The said charge is termed as balancing charge. This represents the depreciation allowance which is allowed in the previous years from the profits earned by the assessee in those years and where subsequently the capital asset has been sold for excess value, then the difference between the original cost and the written down value is treated as income under section 41(2) of the Act by way of balancing charge. 15. In view of the judgment of the hon’ble Supreme Court in Kartikeya V. Sarabhai case (supra) and the judgment of the Allahabad High Court in Chandra Katha Industries’ case (supra), we are of the view that transfer of assets at written down value for shares of higher value amounts to transfer and attract tax under section 41(2) of the Act. The view taken by the Tribunal, thus, cannot be upheld. 16. The question referred is answered accordingly. This entry was posted in Sec. 41(2), Section 41 and tagged 338 ITR, In favour of Revenue, Punjab And Haryana High Court, Written down value of fixed assets.